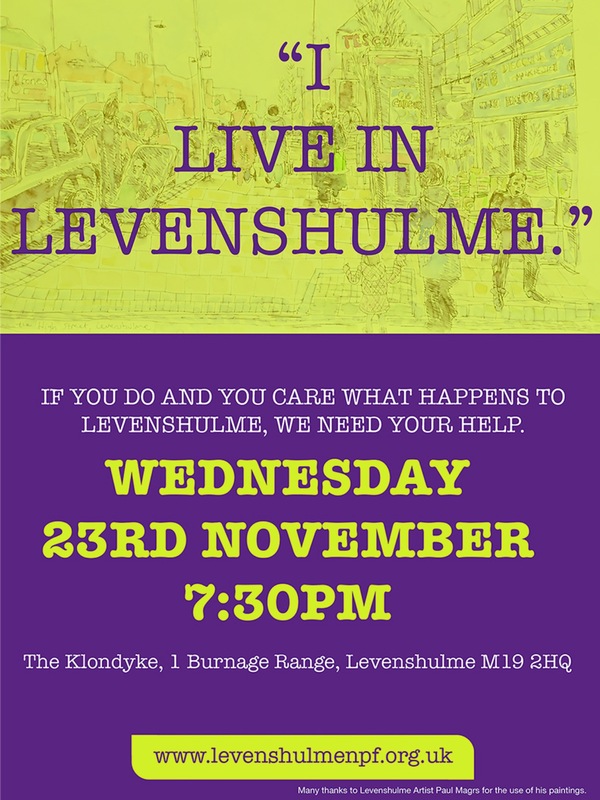 There will be a meeting of Levenshulme Neighbourhood Planning Forum on Wednesday 23rd November 2016, 19.30 at the Klondyke (1 Burnage Range, off Albert Road). 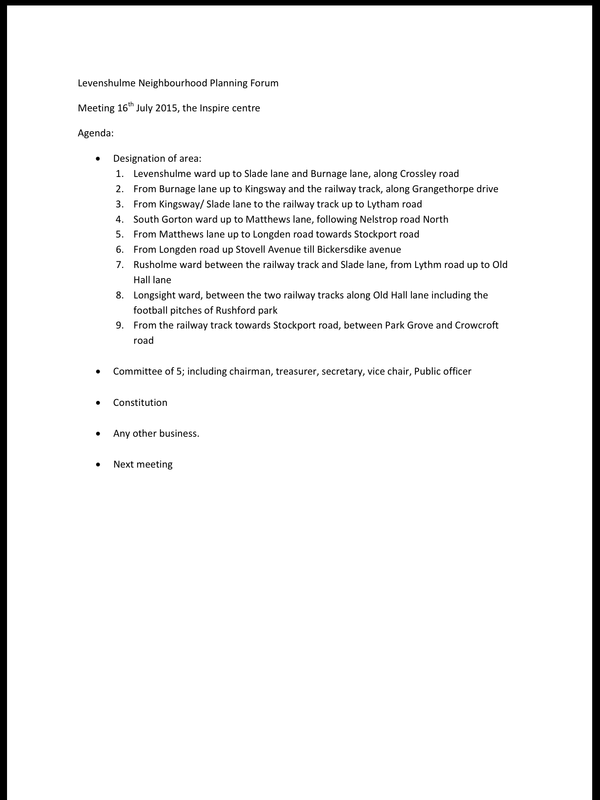 The meeting will be to agree a position on Manchester City Council’s proposals to our area. 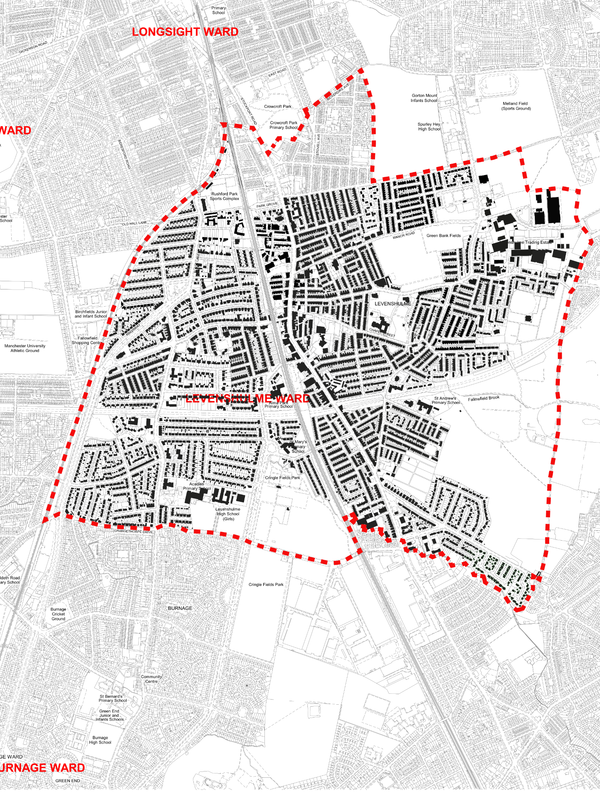 The council proposes a much reduced area for our Forum that would not cover Levenshulme. 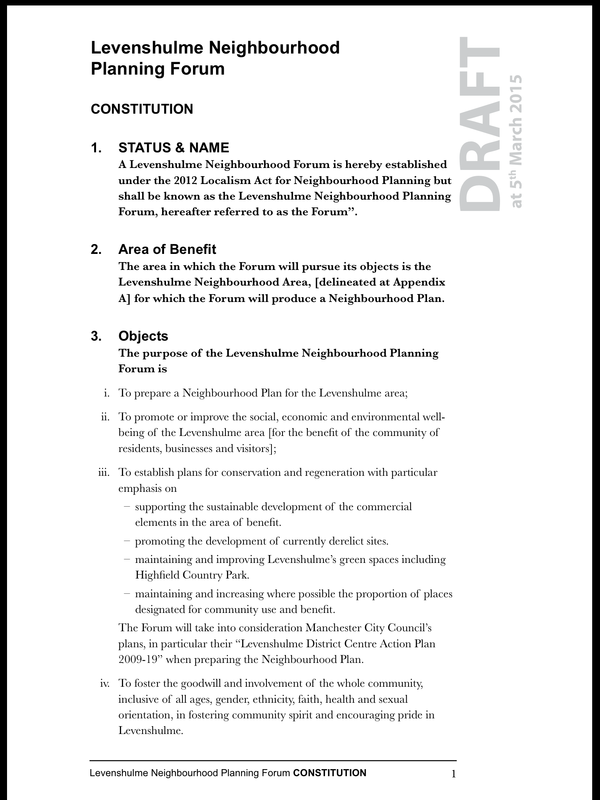 Levenshulme Neighbourhood Planning Forum has been trying to reach a decision with the council since its application was submitted in October 2015. The delays have been frustrating but the group remains determined to find a solution that meets the needs and wishes of the residents and businesses of Levenshulme. 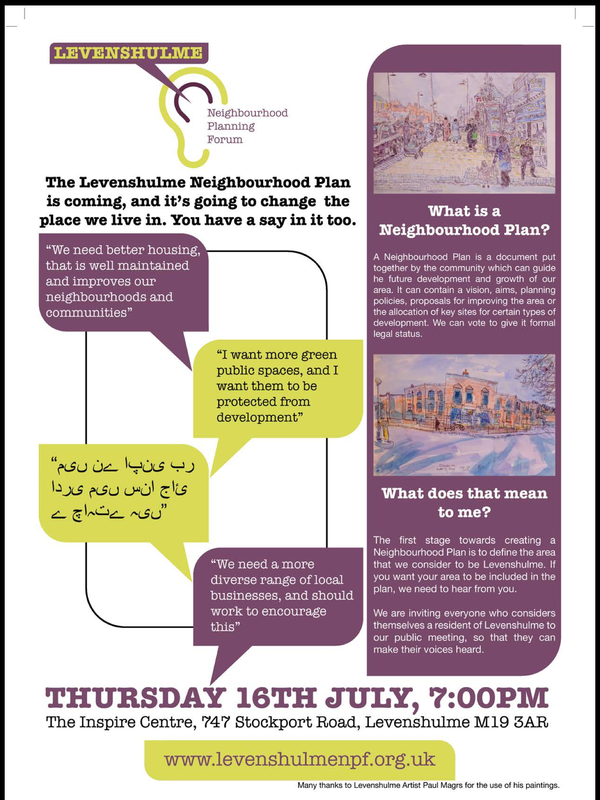 If you are interested in what happens in Levenshulme and how to have a voice to improve Levenshulme with a focus on planning issues then please come along. The next LCA Community Forum will be held at the Klondykeon Wednesday 27th July. Doors open at 7:15. Meeting starts at 7:30. 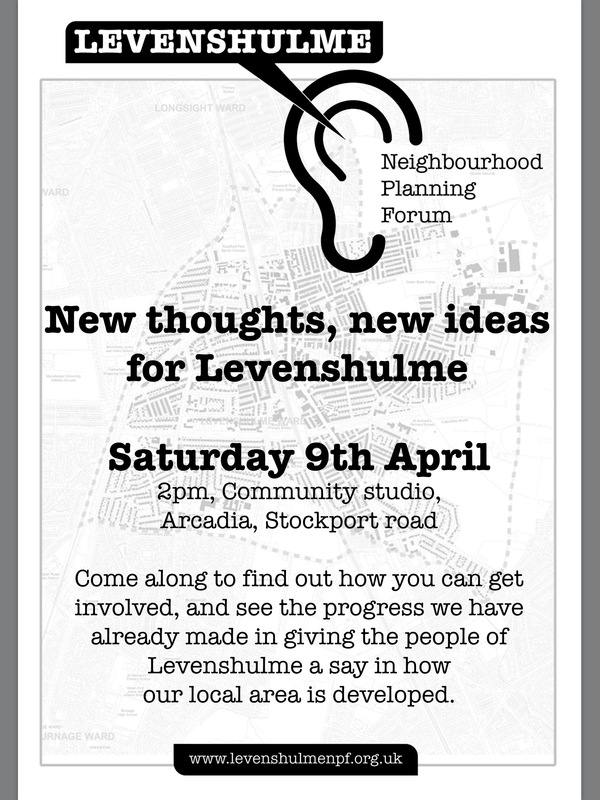 There will also be time for anyone to raise concerns of their own about life in Levenshulme. The LCA Community Forum is an initiative of Levenshulme Community Association. 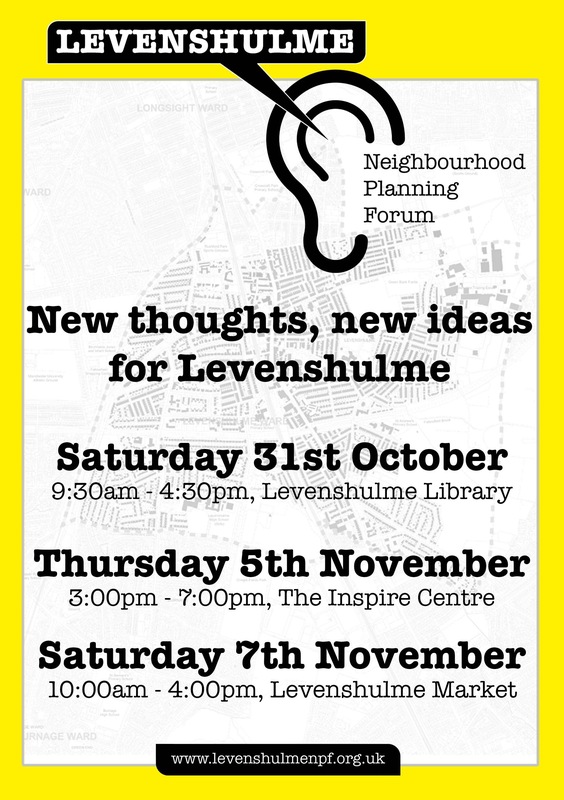 These are open public meetings for everyone in Levenshulme – residents, businesses, landlords, community groups or anyone else – to find out what is going on and raise questions about our area. Information and ideas are shared with the council and our local councillors to work in partnership for a better Levenshulme. 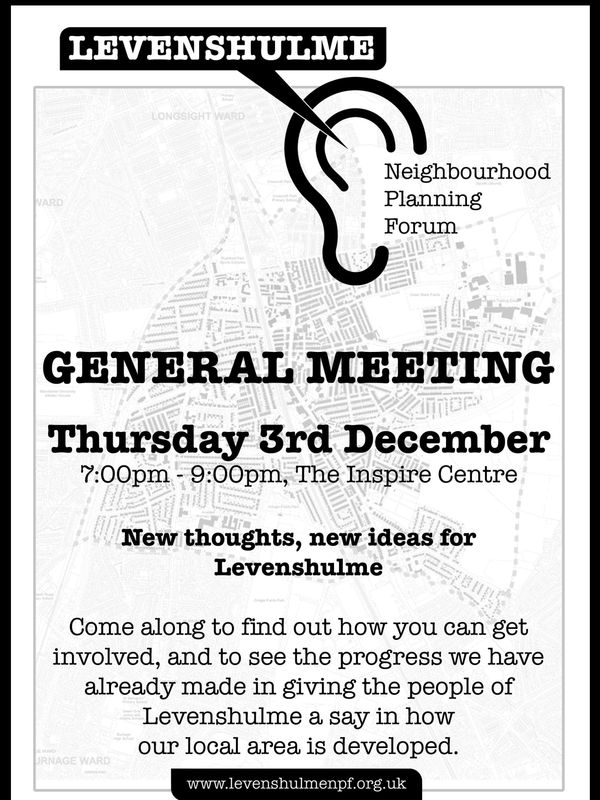 There is a general meeting of the Levenshulme Neighbourhood Planning Forum this Thursday 3rd December at the Inspire Centre, 19.00-21.00.
Business and economic development ( A6 development, business diversity. If you are interested in one of these areas and you would like to look in developing ideas in relation to the above items, please let us know. We will be discussing these areas at our meeting on Thursday and will start putting together groups that will investigate these areas further. I know we are a little late in releasing the agenda for this Thursdays meeting, but we’ve been quite busy in the background. Update our planning application for forum status. 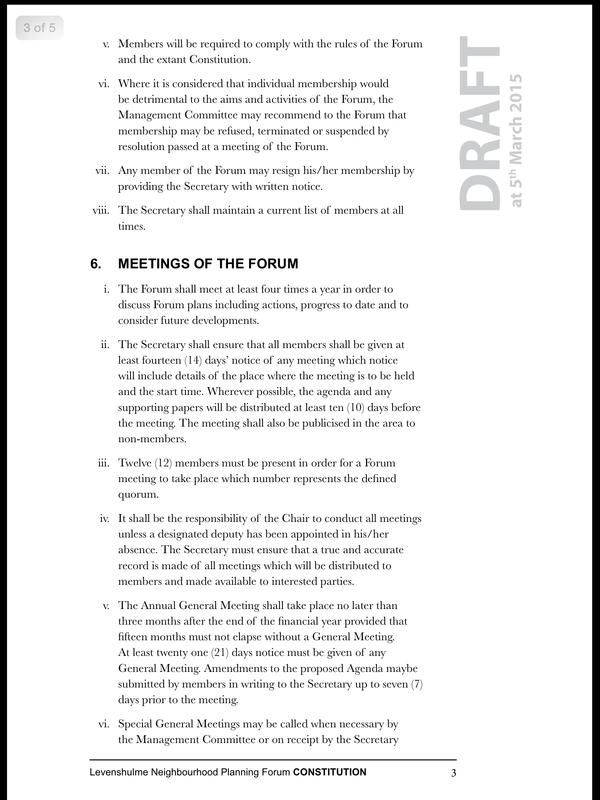 Current planning issues, and the method in which the forum deals with current planning application. There are not many items on the agenda, but I think the discussions around the workgroups will be taking most of the meeting. I hope you will be able to attend and see you on Thursday. 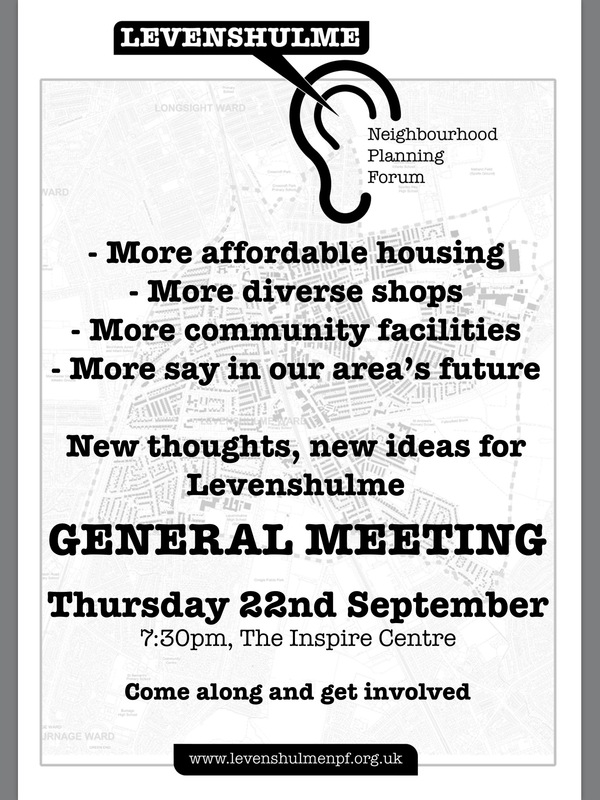 The next meeting of the Levenshulme Neighbourhood Planning Forum will take place on Tuesday 1st September, 19.00, at Levenshulme Inspire on Stockport Road. 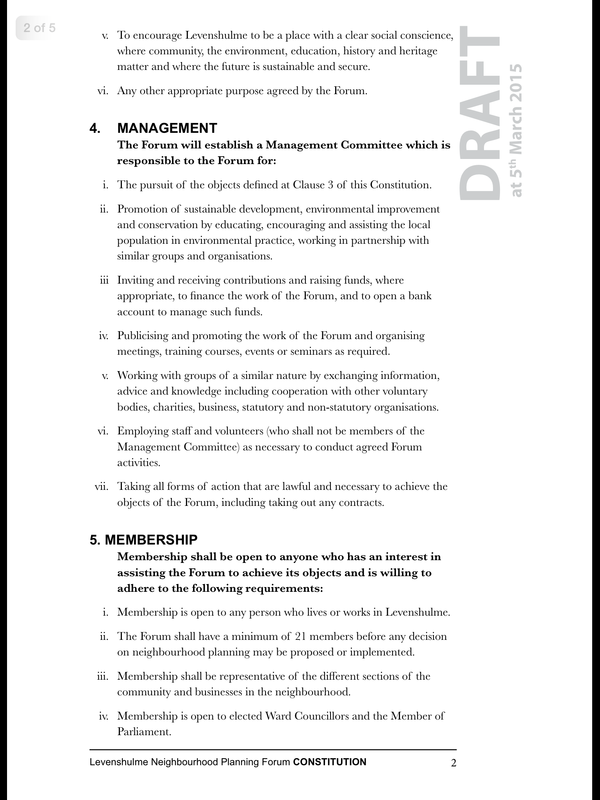 Since the July meeting the Interim Committee has finalised the draft constitution as agreed. This constitution will be presented for approval at the meeting as well as formal adoption of the Designated Area that was accepted by the July meeting. 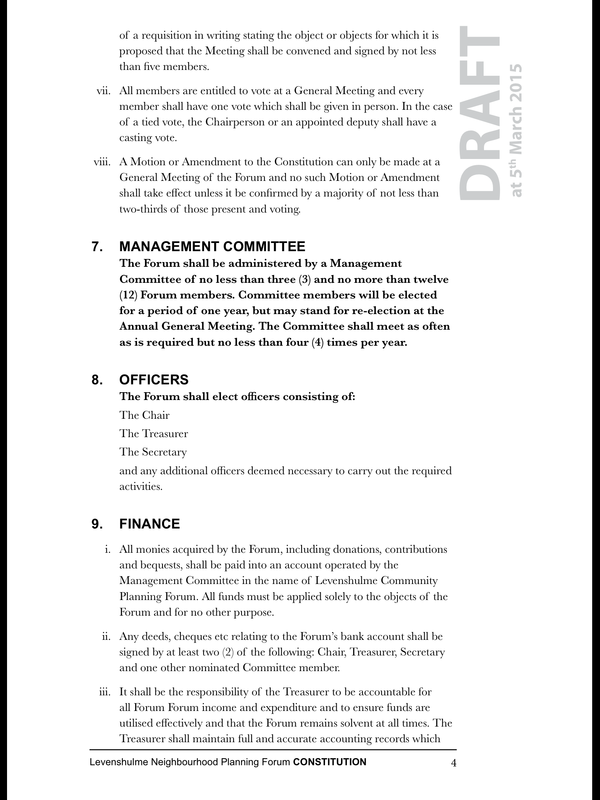 elect a committee to replace the Interim Committee that was appointed in July. 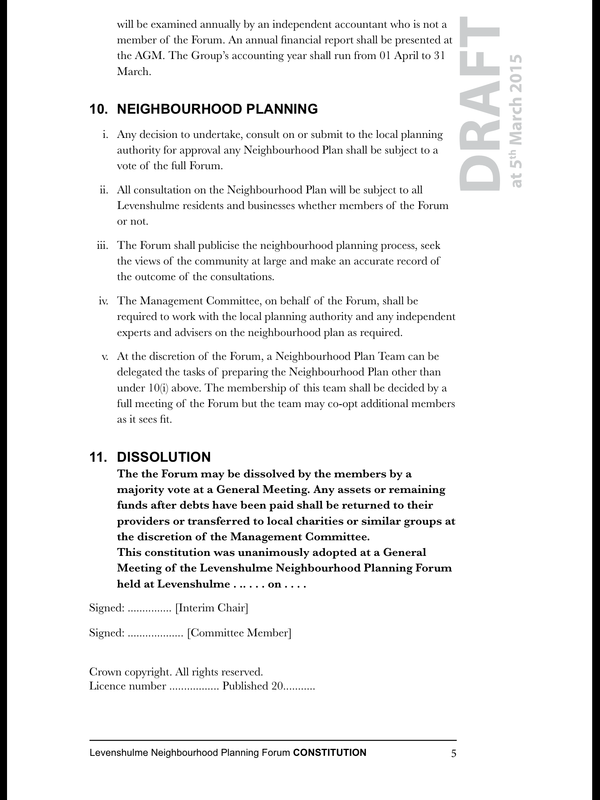 Apart from this formal business to enable the Forum to exist the meeting will discuss a plan for the future and how best to develop the Neighbourhood Plan in a way that includes input from as many people in Levenshulme as possible and that reflects our priorities and issues. 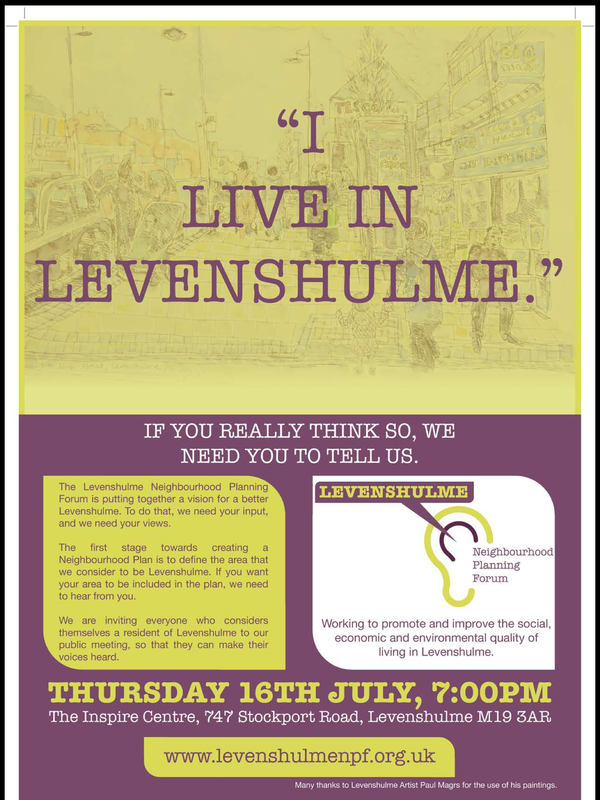 As always, anyone who lives or works in Levenshulme is welcome to attend the meeting and also join the Levenshulme Neighbourhood Planning Forum.